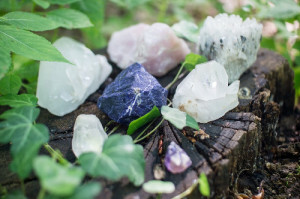 Amethyst is a third eye and crown chakra crystal, a protective stone with a high spiritual vibration. It has healing and cleansing powers and promotes tranquility and inner peace. It can be both calming or stimulating, depending on what your situation calls for. Amethyst is said to enhance both intuition and psychic abilities. Amethyst orgonites can be found here. Aventurine is a heart chakra cleanser. It is a comforter that dissolves negative emotions and thoughts, and it brings well-being and emotional calm. Aventurine allows you to recognize the issues behind illness or imbalance, and to facilitate the release of unhealthy relationships, patterns and heartache. 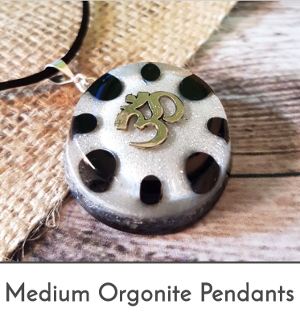 Aventurine orgonites can be found here. Black Tourmaline is a grounding and protecting stone associated with the root chakra. When your energy feels scattered and disconnected, black tourmaline can ground you and help you feel a stronger sense of presence in the Now. 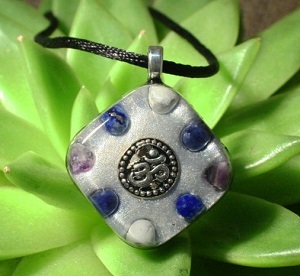 It is one of the best stones to use against EMF, and it repels all kinds of negative energy. Black tourmaline orgonites can be found here. Carnelian is an energy-boosting sacral chakra stone. It restores vitality and motivation, as well as stimulating creativity. 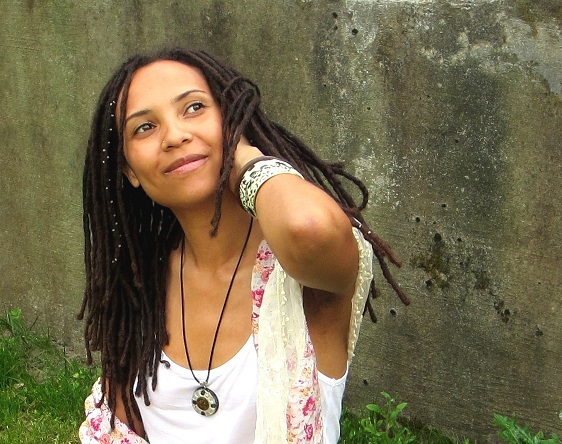 Its joyful energy is life-affirming and helps you trust yourself and be grounded in your current reality. Carnelian encourages courage and confidence. Carnelian orgonites can be found here. Fluorite is a crystal that brings stability and clarity to all areas. It is often used as an aura cleanser and it is highly protective. As a meditation aid, it assists in receiving and interpreting higher guidance. It enhances concentration, clarity of thought and creativity, making it an excellent “brain stone”. 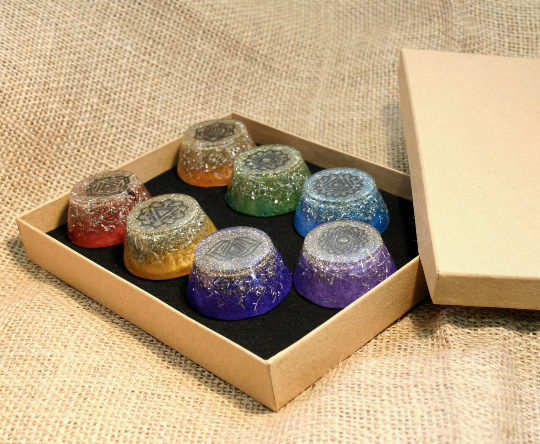 Fluorite orgonites can be found here. Garnet is a root chakra stone that uplifts the spirit, energises the body, and balances emotions. It is a great comforter in a crisis because it strengthens the survival instinct and increases courage and confidence. It awakens creativity and inspiration, and is also said to be the stone of love and passion. Garnet orgonites can be found here. Hematite is an effective grounding and protective stone. It strengthens our connection to the earth through or root chakra, making us feel safe and secure. It endows us with willpower, courage, strength and vitality. It is also able to stimulate concentration and focus, as well as enhancing memory. 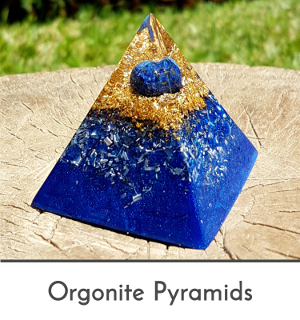 Hematite orgonites can be found here. Howlite is associated with purity and balance. It has a calming energy which is effective for relieving anxieties and tension by promoting peaceful energy and tranquility. Howlite helps us develop patience, tolerance and a positive outlook on life. It also promotes kindness and compassion, and encourages creativity and self-expression. 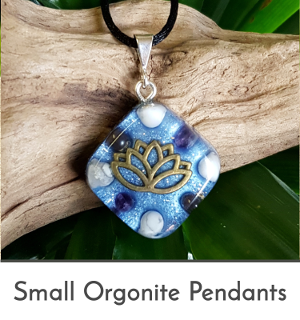 Howlite orgonites can be found here. Jade helps you connect with true abundance and with the flow of energy into material form. It allows the stream of money and the endless supply of abundance that is the Universe come to you. It dispels blockages within the body and increases the flow of energy. Jade orgonites can be found here. Lapis lazuli is often known as the Truth Stone. It is a highly spiritual crystal which encourages clarity, self-awareness and inner peace. It aids in enhancing psychic abilities and can provide profound spiritual insights. It is also a stone of protection which guards against negative energies. 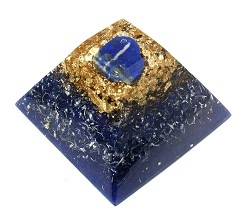 Lapis lazuli orgonites can be found here. Moss agate is strongly connected to nature, and is said to reduce sensitivity to weather and environmental pollutants. It increases hope and optimism, and improves self-confidence. It is also an abundance stone, bringing prosperity into your life. It brings peace and stability to your emotions, and can be very helpful for those who suffer from mood swings. Moss agate orgonites can be found here. Onyx is a root chakra stone that protects and gives strength. It promotes self-mastery, self-confidence and determination, and can be very stabilising during difficult times. Onyx is said to help protect people from negative energies, as well as helping people to let go of old patterns that no longer serve them. 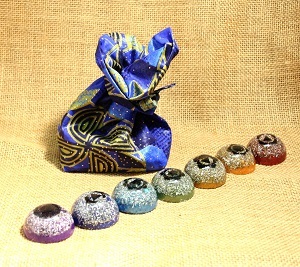 Onyx orgonites can be found here. Rose quartz is a heart healer which gently dissolves fear and resentment while fostering unconditional love and inner peace. It opens your eyes to the beauty of the Universe and the interconnectedness of all that exists. It increases self-esteem and opens you up to giving and receiving love. Rose quartz orgonites can be found here. Tiger’s eye, a solar plexus chakra stone, promotes a positive attitude, assists us in accomplishing our goals and helps us to recognise our own talents and abilities. Tiger’s Eye is said to enhance our own personal power, release blocked creativity, and to bring good luck, prosperity, wealth and success. 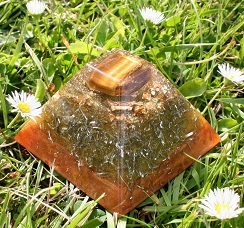 Tiger’s eye orgonites can be found here. Turquoise is a powerful healer which enhances intuition and promotes effective communication. It is good for stabilising mood swings and instilling inner calm. 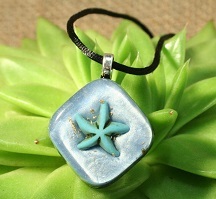 Turquoise strengthens the meridians of the energy body, and it works especially well on the throat chakra. 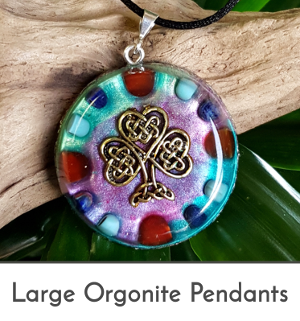 Turquoise orgonites can be found here. 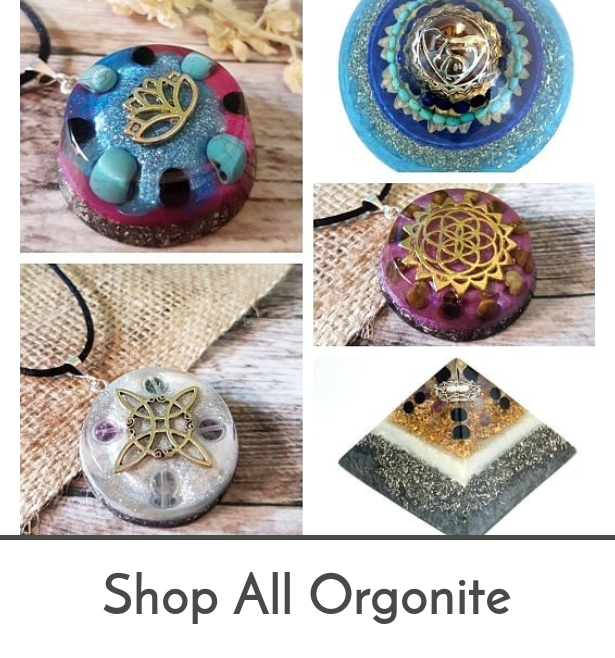 My name is Karin, and I've been making orgonite since 2012. 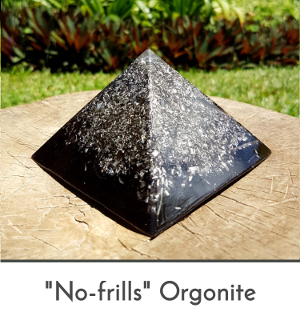 I make healing orgonite pyramids, pendants and more in my home country Zambia, and ship them worldwide from London, where I am permanently based. Amazing results when used during a Reiki session with a client. I am planning on using this set with a Clearing Session that I offer at my spa . Strong vibrational set and so happy that I found this seller. You can tell by all the pieces what compassion and love go into each piece! What a blessing! Beautiful orgonite, thank you Karin. Such a pretty orgonite with so much amazing loving energy coming through. BEAUTIFUL!!!! So pleased with this necklace! Thank you for your guidance Karin in helping me select the perfect pendant! You have a special talent making these little masterpieces! Also thank you for the little gift enclosed with my order! The care you put into the packaging ensured my parcel arrived safe and sound. Thank you! Shipped very early and the pieces are wonderfully made. 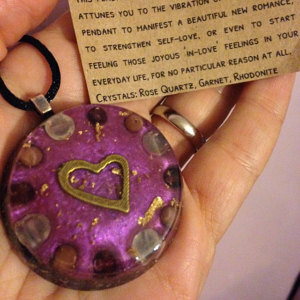 Each piece of orgone came with a little card describing the stone included. They’ve been in my home for just about a week and I can definitely feel the energy of the orgone. My plants are growing faster and my cat is calmer than usual. Thank you, Karin!